DON'T WAIT! TALK TO AN ATTORNEY FOR FREE. I’ve Been Injured In An AccidentWhat Do I Do Now? After being hurt in an accident, it’s important to remember that you only get one chance to rightly heal and recover. It’s unfortunate, but even after all of the physical and emotional pain, you’re still left with mounting bills and endless paperwork. When you work with Murphy & Pressentin Injury Attorneys, your case will be handled by a dedicated team of personal injury professional’s, focused on easing your burdens,so you may concentrate on the healing process. 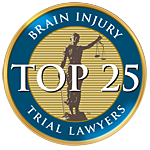 As part of our commitment to injury victims, Murphy Pressentin offers our clients our exclusive 3 Guarantees. We pride ourselves in providing personalized, accessible and responsive service, helping our clients through difficult circumstances. Before choosing a law firm, make sure to take advantage of our free resources and educational videos we’ve prepared for you on this site, and associated links. You may also use the contact button, click the chat button, or call us now at (866) 230-2282 for a free consultation. “From a personal standpoint Murphy & Pressentin is now part of our family. Personal Injury Lawyers Disclaimer: The personal injury, wrongful death, negligence motor vehicle accident and/or other legal information offered by Murphy & Pressentin, LLC, Personal Injury Lawyers, is not formal legal advice, nor the formation of an Attorney-Client relationship. Any results set forth herein are based only upon the facts of that particular case and offer no promise or guarantee on the outcome of any case.